Aside from the crazy weather we had Friday, the weekend was awesome. If you haven't seen the news, we got horrible storms and a few tornadoes Friday morning. I was at work where 11 of us we in a bathroom for shelter due to a tornado being seen in our area. Thank God we are fine and nothing happened, except a ton of flooding. 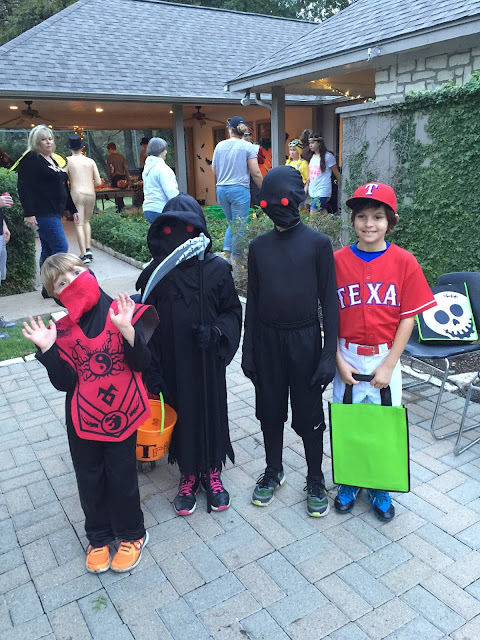 Halloween we had rain on and off, but luckily it stayed away for trick or treating! Before the festivities began, I ran and got a Papa Murphy's Jack O Lantern pizza for dinner. 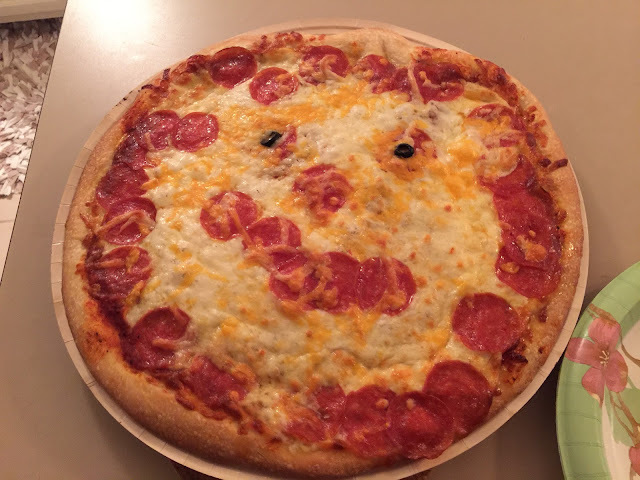 Maybe not the prettiest pizza ever, but so delicious! 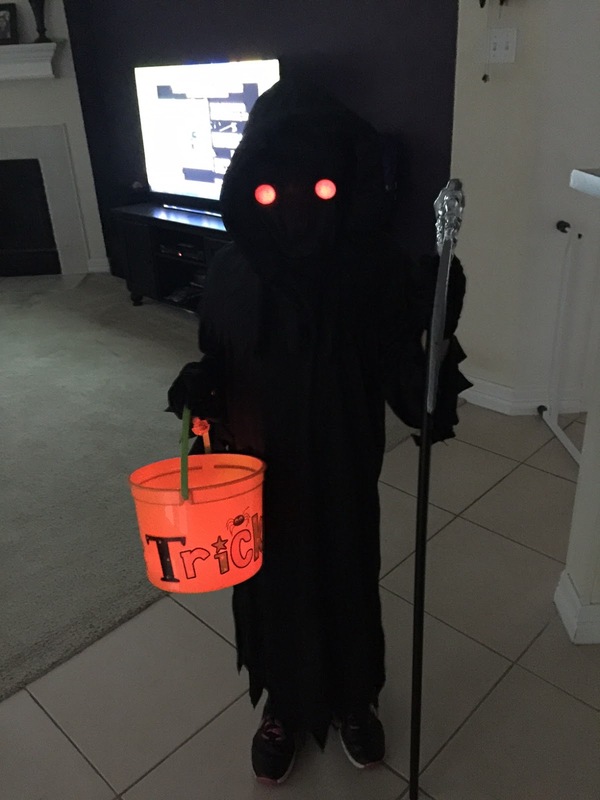 Bella dressed as the Grim Reaper for Halloween this year including glowing eyes! We headed to the neighborhood Halloween Party first where she got to see a bunch of friends & get ready for the main event! 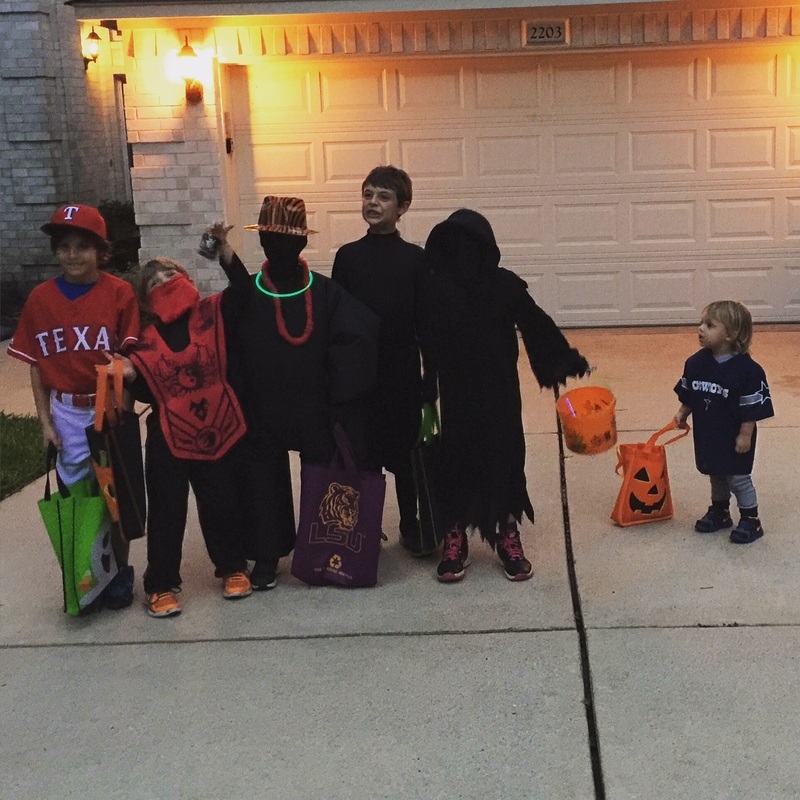 These kids have been trick or treating together for 4 years in a row now. They always have the best time & it's so fun to see how much they all have grown! 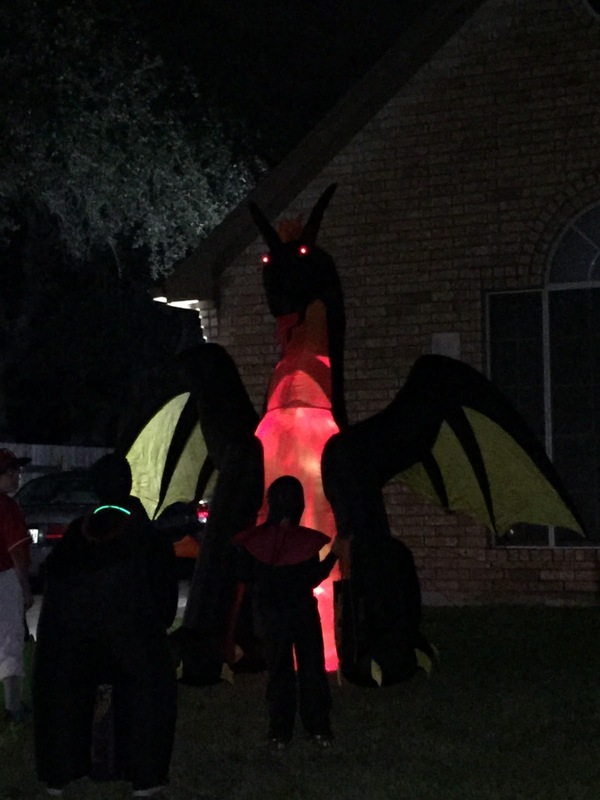 Our neighborhood has some really cool decorations including this dragon the kids couldn't stop staring at! After we finished trick or treating, we went to Bella's friend Connor's house for a party. They went all out and the kids had the best time! Bella ended up staying the night next door to us. so we took advantage and got to spend some time with the neighbors until the wee hours of the night! Sunday we a lazy day for all of us! I made Eric wake up at 7:15 a.m. for a 2 mile walk, but afterwards did absolutely nothing!